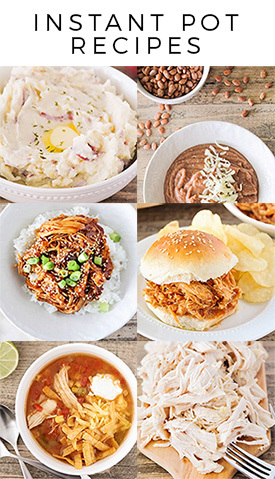 That's right, another Instant Pot recipe! I know I sound like a salesman for Instant Pot, but it really is the most amazing machine. 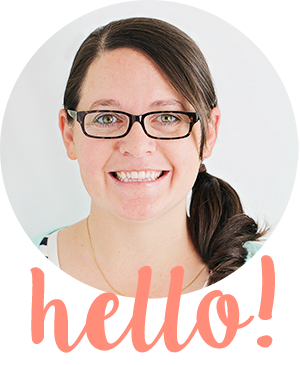 Here's the deal: I make a menu plan almost every week. And the number one reason that my menu plans fail (as they do sometimes) is because I forgot to thaw chicken in the fridge overnight, and I need it for a recipe RIGHT NOW. I don't have the time (or energy) to thaw my chicken, so we end up eating fast food, or macaroni and cheese, or quesadillas, and all my plans go out the window. Not anymore, friends! The Instant Pot is perfect for making delicious, perfect chicken breast in only 25 minutes. The chicken comes out tender and juicy, and shreds perfectly. I've used this method to make chicken salad, burritos, pasta dishes, you name it! The best part is that you can cook the chicken from frozen without worrying about thawing first. I will say, I haven't tried it with bone-in chicken, and I'm sure the time would have to be adjusted. But 25 minutes works perfectly for frozen boneless skinless chicken. Menu plan crises averted! Place the trivet in the pot, and place the chicken breasts on top of the trivet. Pour the water or broth over the top. Sprinkle with salt and pepper. Close the lid and cook at high pressure for 15 minutes. Allow the steam to release for five minutes, then quick release the remaining steam. 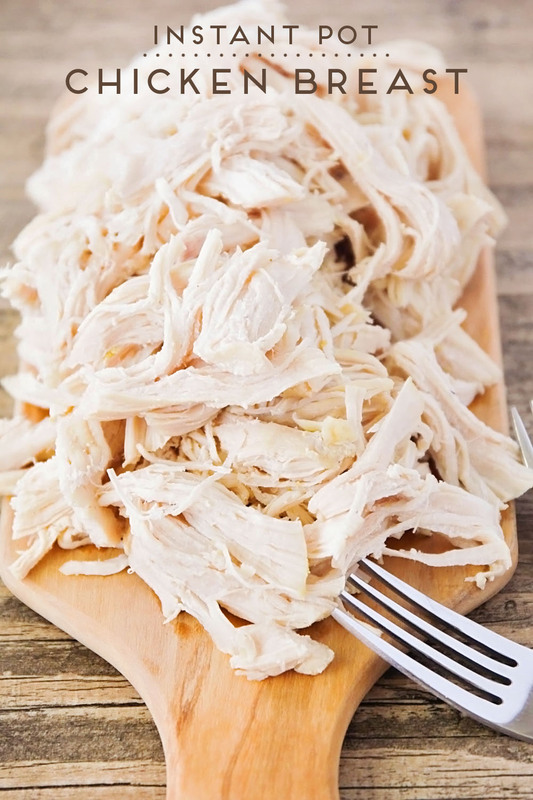 Remove the chicken from the Instant Pot and shred. Thanks for this recipe! Much appreciated. Question: would the directions be the same for bone-in, skin on chicken breasts? If not, can you suggest possible changes or perhaps even write a future recipe for bone-in, skin on chicken breasts? I haven't tried it with bone in, skin on chicken breasts yet, but I could definitely look into it! From what I've seen, you can cook a (thawed) full chicken in about 25 minutes, so I would guess that if the chicken breasts were thawed, it would be around the same amount of time. What would the time be if they were thawed? I haven't tried it with thawed chicken breasts (because I almost never have them on hand) but I'm guessing they would take around 12 minutes.